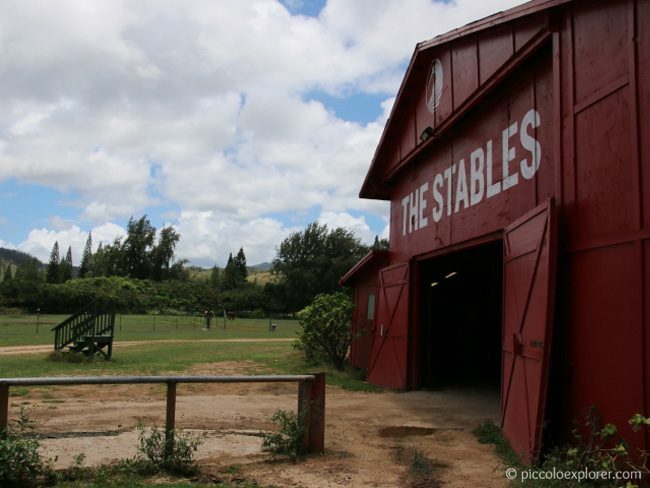 A couple of days after arriving on Oahu, we took the car for our first drive to the North Shore to visit Turtle Bay Resort, where we had booked Little T in for his first pony experience. It was a Sunday and we set out from Waikiki pretty early, expecting to get there with plenty of time to spare before checking in with the activities team, but heavy traffic along the way had us arriving only just in the nick of time and we were soon whisked away in a golf cart heading towards the resort’s stables. Traffic aside, it felt great to escape the weekend crowds of Waikiki for the wide open, laid-back countryside of the North Shore. 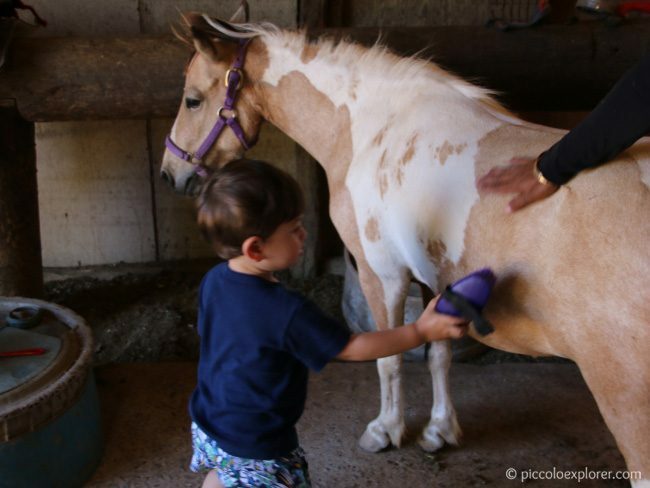 The Pony Experience at the Turtle Bay Resort is a hands-on activity for children 6 and under. 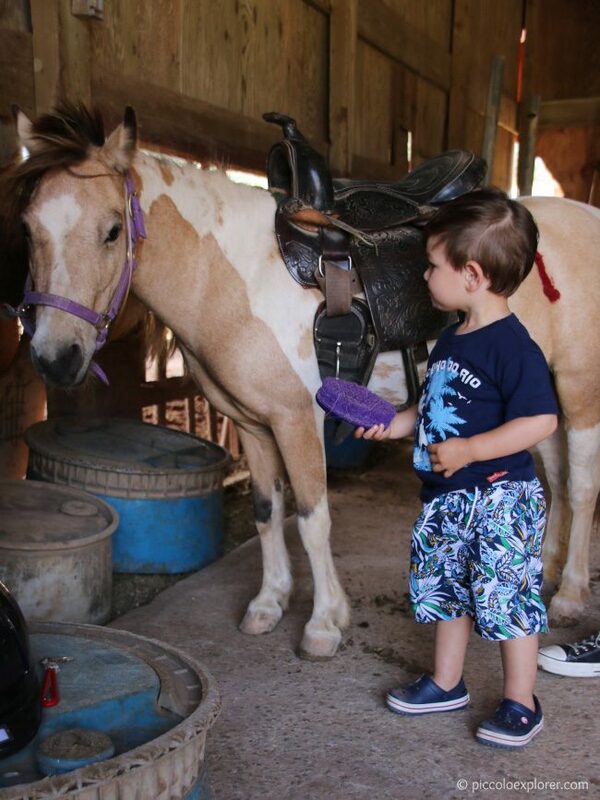 Each session is 15 minutes long, and children learn how to groom and feed the pony before heading out on a ride on the pony or a pony drawn cart. When we arrived, we were introduced to a lovely pony Lily and her trainer. I wish I could remember the trainer’s name; she was very kind, patient and attentive with Little T and let him take his time to get comfortable. Lily herself was very calm and gentle throughout the experience. After petting the pony, Little T had the chance to brush Lily and he was a bit shy at first but was soon happily brushing away. 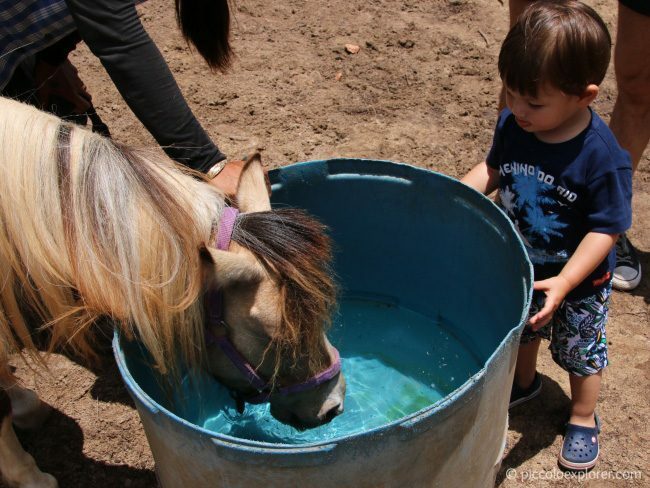 Lily had her hooves cleaned and her saddle put on, and then Little T helped the trainer walk Lily towards the trail, first stopping by a bucket for Lily to have a drink. After Lily’s thirst was quenched, it was time to get Little T ready for his ride. 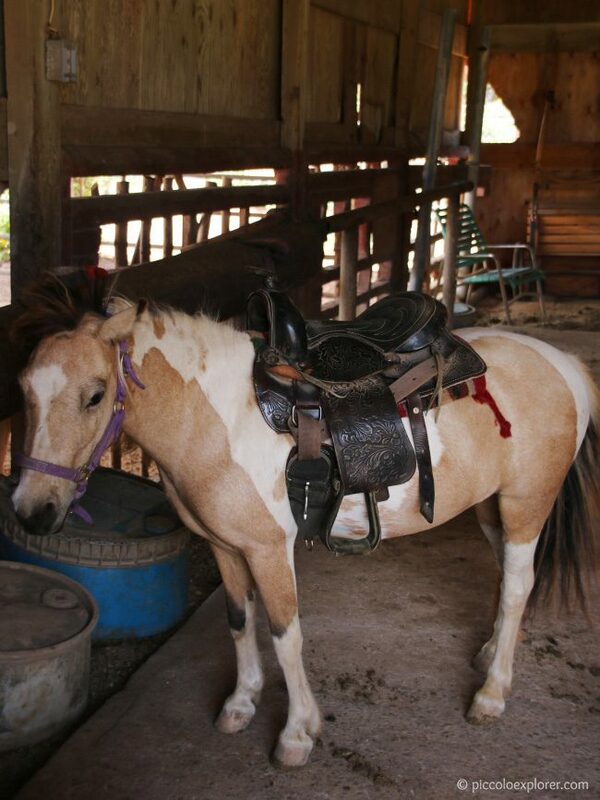 He first flat out refused to wear the helmet and didn’t want to stay seated on the saddle. It really looked like it wouldn’t be happening, but when we asked if he wanted Papa (Mr G) to hold him during the ride, Little T calmed right down and nodded. We agreed to go very slowly with Mr G walking alongside, holding onto him, and Little T was soon grinning from ear to ear. This is the beautiful view we had as we walked along the trail. 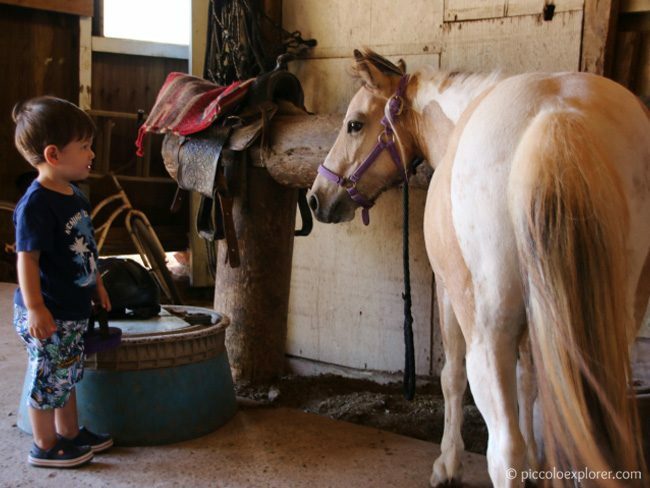 After his ride, Little T helped the trainer again to walk Lily back into the stables. He gave Lily one last brushing and thanked her for a fun experience! 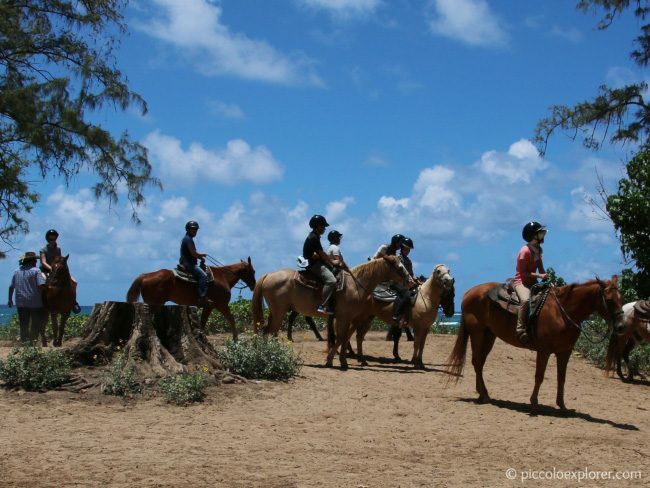 Before heading back to the resort, we watched a group of horseback riders come in after their ride along the beach. Then we were back in the golf cart on our way to the main part of the hotel, where we had lunch at the beachfront restaurant Ola. We were actually at this restaurant in 2009 (it had a different name then) and we enjoyed being back at the Turtle Bay Resort. We were actually considering staying at the resort the following weekend to get away from the Waikiki crowds, but in the end decided to just stick with our plans. 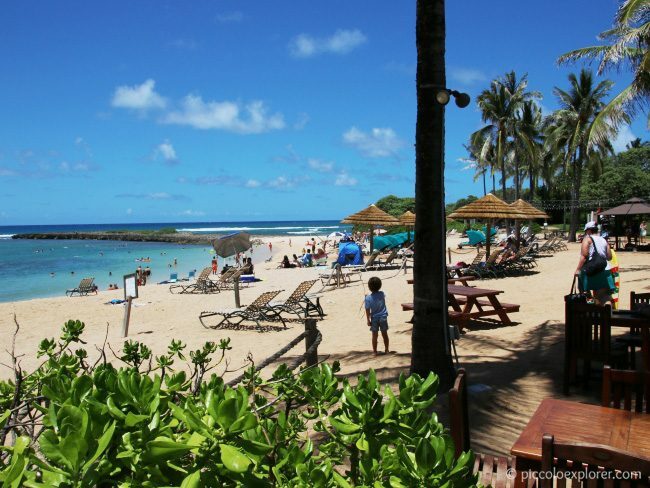 We will consider Turtle Bay Resort for the next time we’re on Oahu, though, as we love the area and it has so much to offer for activities and local excursions. 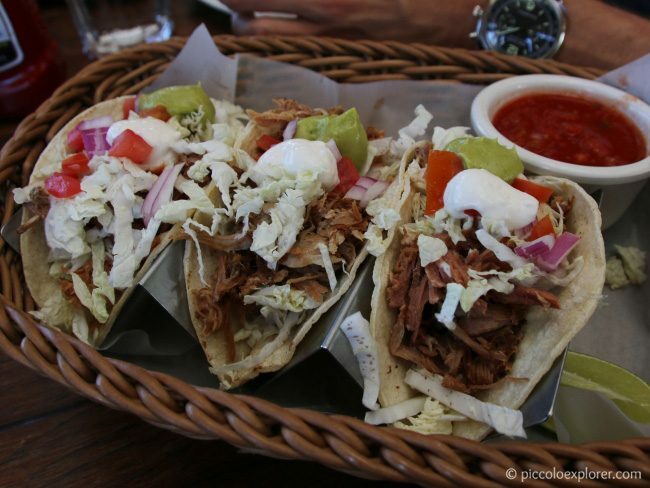 Back to the restaurant… I had Kalua pork tacos, which were pretty tasty. Little T liked them too so I ended up sharing one with him. He also had some chicken tenders and fries from the kid’s menu. 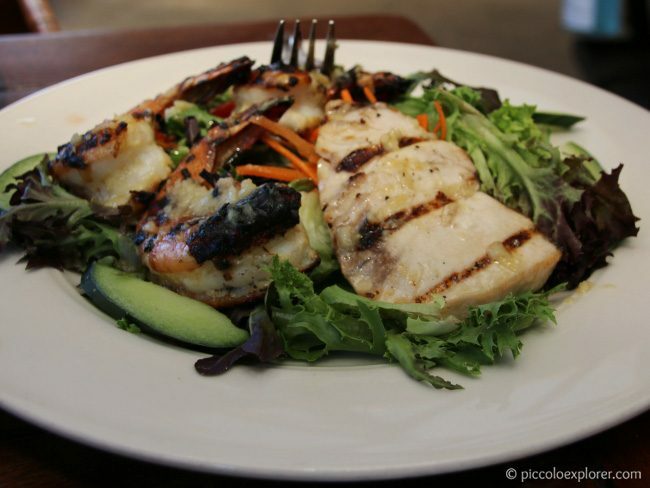 Meanwhile Mr G had a salad with grilled shrimp and fish. 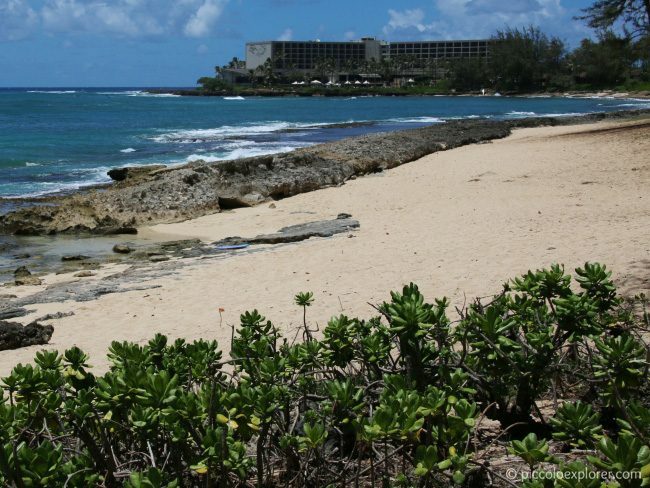 Overall we had a great experience at the Turtle Bay Resort. It’s a beautiful retreat with so much going on, really something for everyone. 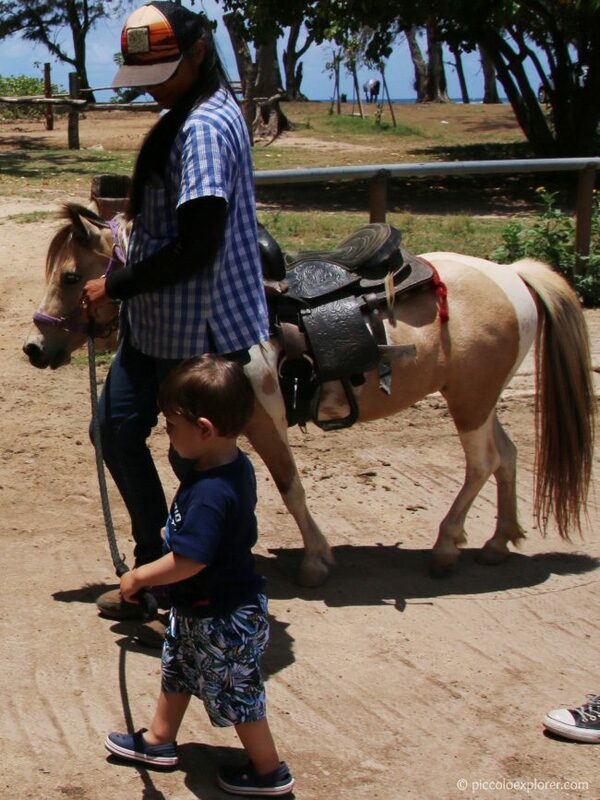 The highlight of course was watching Little T enjoy his first pony ride. I really appreciated how kind and patient the trainer was in allowing Little T plenty of time to get to know Lily and to get comfortable with the ride and she was always careful to make sure that he was safe. The pony experience was definitely worth it! The food at the restaurant was pretty good, and the only complaint I would have is that the service was extremely slow. We spent the time waiting on the beach though which isn’t too bad! The Sunday traffic was very heavy on the way there, especially from Wahiawa, so we kept our next visits to the North Shore for during the week only. Tickets: Pony Experience tickets are available to book online [here]. Have a look at the site for what times are available (usually 10am to 2pm). Tickets are $30 per child (age 6 and under) for the 15 minute experience. Parking: There is plenty of free parking in the resort’s parking lot. 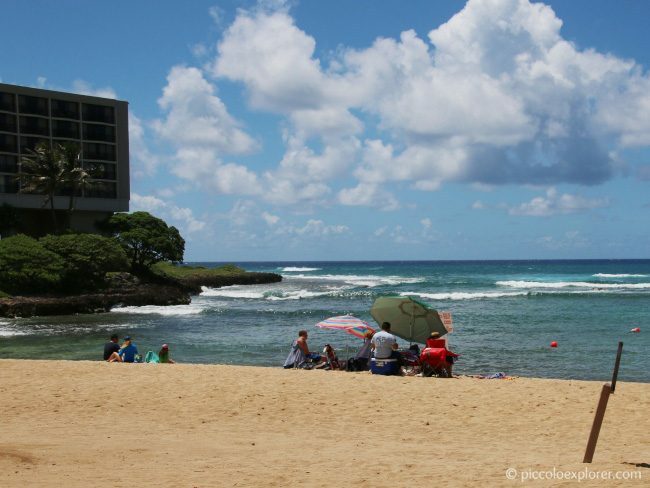 It’s easy to book a time slot on the Turtle Bay Resort website. You’ll receive an email with confirmation of time booked, payment and further details to prepare for the experience. Check in with the Tours & Excursions team in the hotel lobby at least 30 minutes in advance. 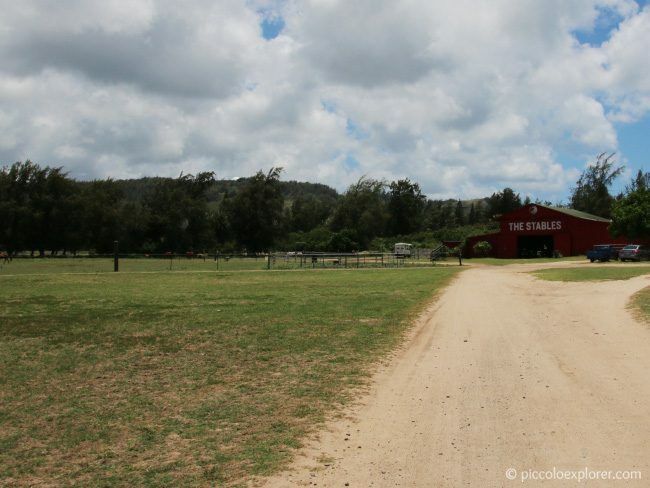 Once you’ve checked in, one of the team members will take you to the stables with a golf cart, so no need to bring the stroller (although there is plenty of space in the back if you do). 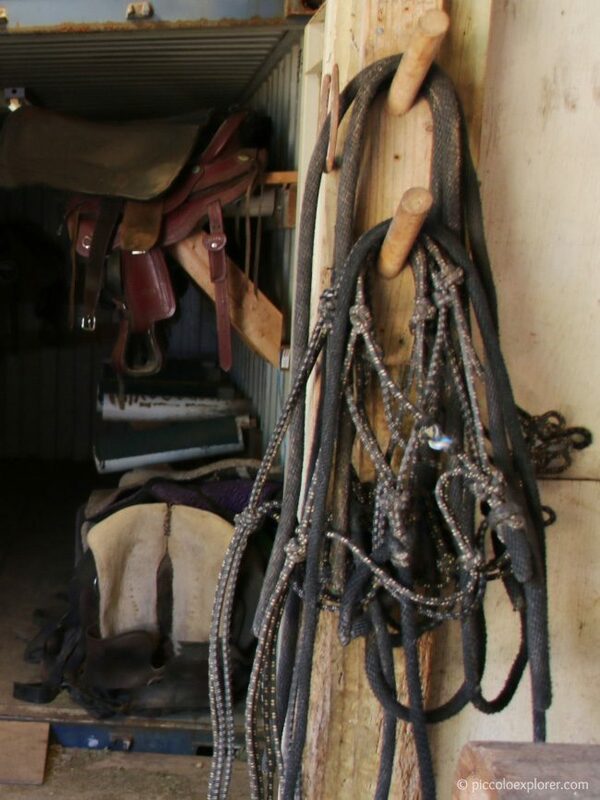 Lockers are available at the stables for your extra stuff. Don’t forget to bring sunscreen! 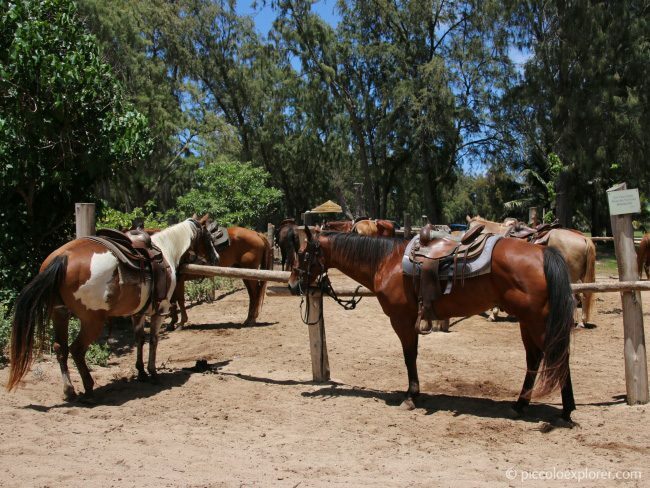 I couldn’t find a restroom at the stables, so do bring wet wipes and hand sanitiser then use the restroom in the hotel lobby or restaurant to wash your hands properly afterwards. 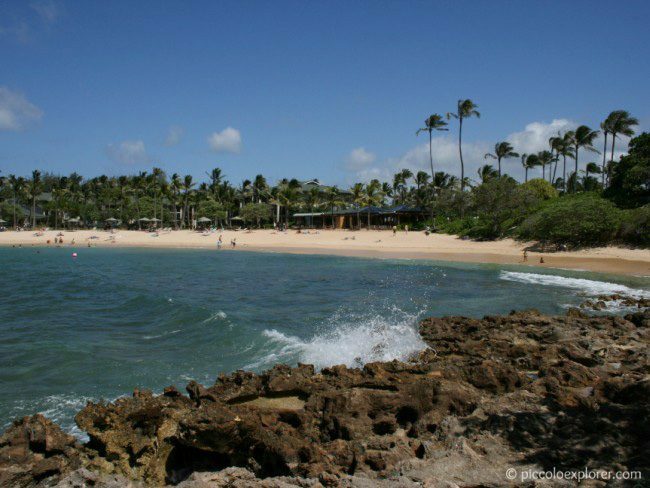 For more tips on visiting Oahu with kids, have a look at our Oahu Destination Guide.